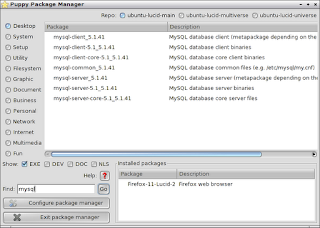 This is part 3 in the series of how to install the LAMP stack (LINUX, Apache, PHP, MySQL) within Puppy LINUX. 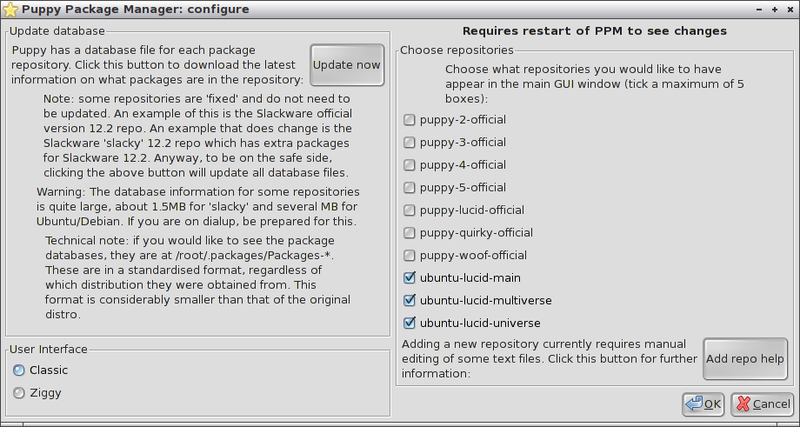 I am using Lucid Puppy 5.2.8 as this gives full access to the Ubuntu repositories which makes it much easier to achieve the end goal which is a portable device able to run a web server as a development environment. This was quite a tricky install and took some effort to get working. 3. 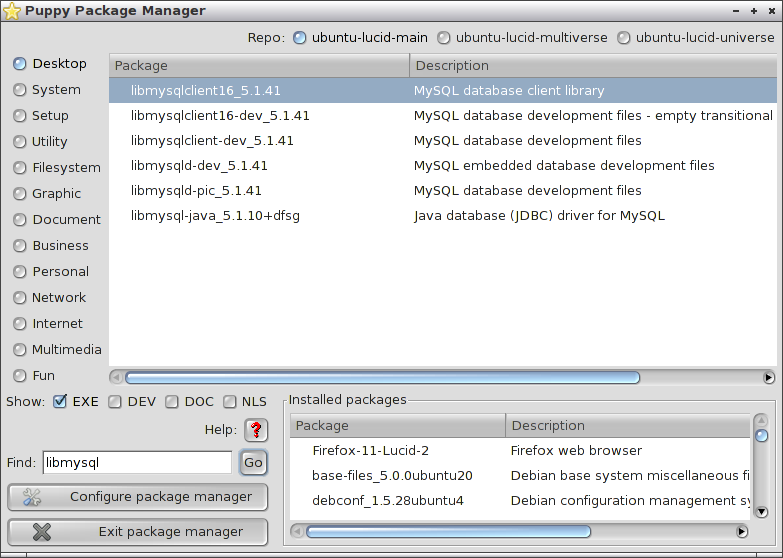 Select the 3 Ubuntu repositories at the bottom and click ok.
4. 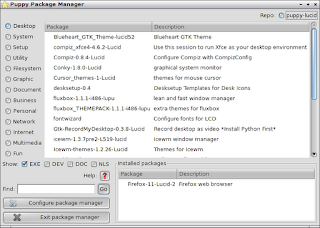 Close the package manager and restart it by clicking install again. 16. 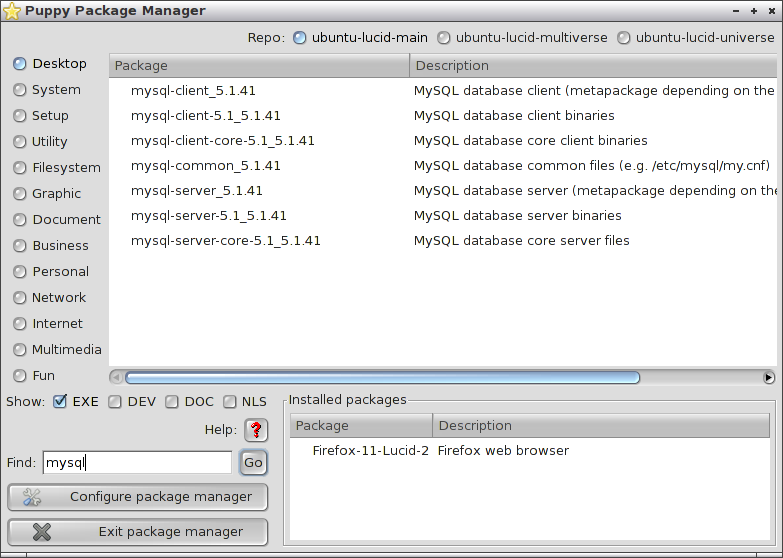 Type “mysqld” to start the server running. At this point MySQL will be installed and running. I hope these instructions work for you but if not feel free to leave a comment because I have fallen down many pitfalls to get the instructions to this stage. You can obviously get mysqld to run at boot time so that it is available as soon as you need it. 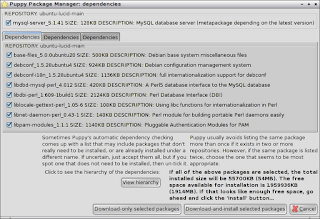 Why install Apache, PHP and MySQL in Puppy LINUX? 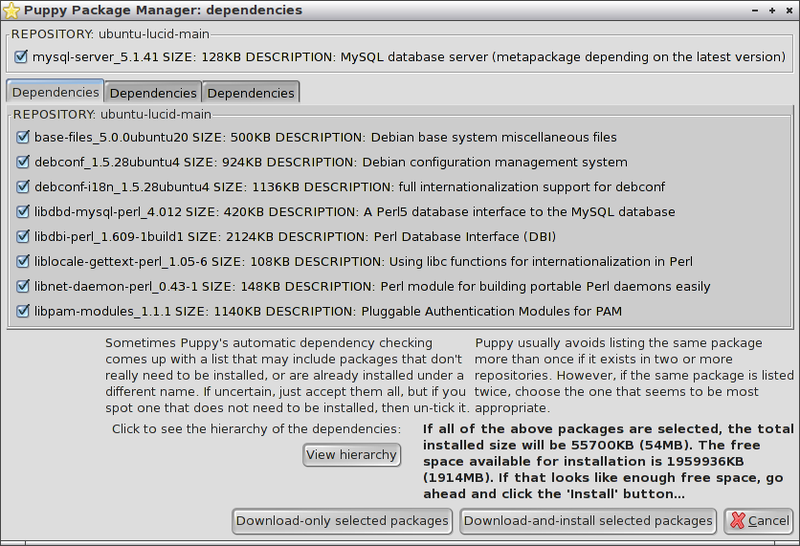 First of all, thank you very much for putting together these pages for installing Apache, PHP, and MySQL to Puppy. 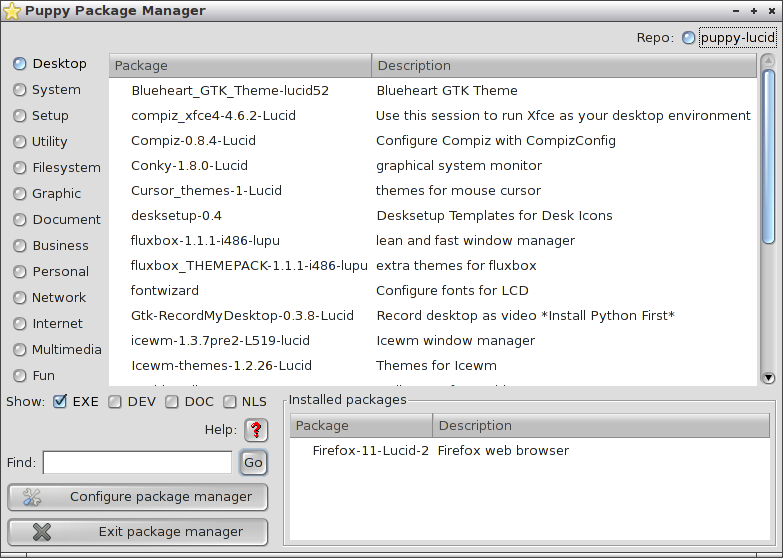 I am still learning Linux, and without these pages, a process that would have probably taken me weeks or months has been compressed down to a couple days. Is this part of the normal installation procedure, or should it prompt me to create a password like in the Apache installation? The next error comes at 16 ‘mysqld.’ I do not know if this ties into the above problem or if it is independent, as instructions 13-15 produced no errors. 120831 13:44:18 [Note] Plugin 'FEDERATED' is disabled. 120831 13:44:21 [ERROR] Do you already have another mysqld server running on socket: /var/run/mysqld/mysqld.sock ? Lastly, I get the following error from 17, ‘mysql -u root’. Once again, I thank you for taking the time to create these pages. 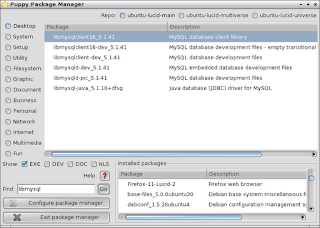 I would greatly appreciate any advice you can provide on these problems with installing MySQL. Actually, I figured it out. Kinda. As in a google search led me to something that has resolved the issue, I don't actually understand the underlying mechanisms. Yet. As I had not created any databases yet, I did not risk losing data. But I can now run MySQL! Once again, thank you for creating these pages! I had the same issues and errors as anonymous above, and the fix suggested worked for me as well. Everything work flawlessly (with comments of Anonymous). I've got question, what insert to php.ini to be able to use MySQL from PHP? Had the same problem as Anonymous and his idea fixed it!